Welcome to the first episode of The ModernJeeper Show where we talk about everything related to Jeeps, Jeepers and Jeeping. 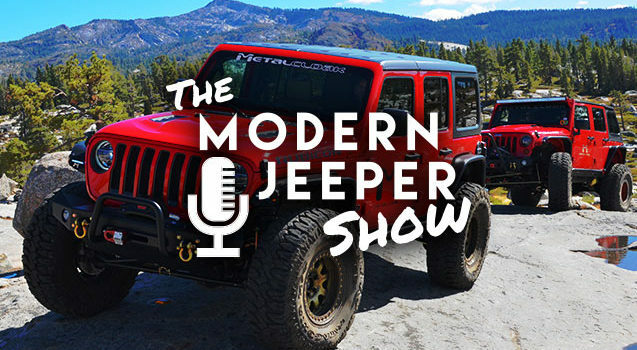 In this episode, ModernJeepers Corey Osborne and Matson Breakey catch up on what’s been happening lately including SEMA, the Jeep Truck, Corey’s new LJ “Golden Spike”, and what we are doing for the #CTITour2019. Note: We will have this podcast streaming on Apple Podcasts, Stitcher and others soon. This podcast is made possible by the support of our incredible partners. Please help us by supporting these great companies. Woohoo looking forward to more pod casts!!! Super excited for moab and Rubicon!! !